Our penchant for desktops would always remain a thing although we are hooked in the mobile era. 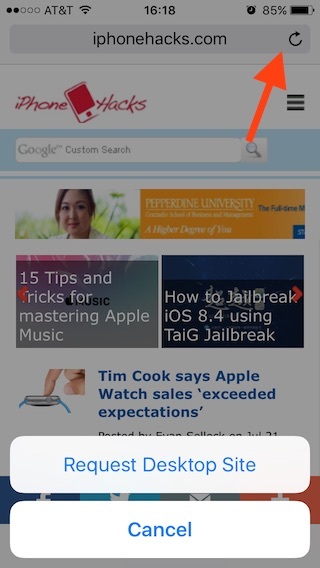 Users who have iOS 9 beta installed will know a better yet easy way to view desktop sites on iPhone and iPad. Mobile sites are designed to load appropriate information considering speed and a better browsing experience. However, some of our favorite aspects are kept hidden and present on the full desktop site. Even though Safari in iOS 9 does not boast a lot of changes than the current version, one of our favorite feature was the requesting of desktop sites. The requesting process has been minimized to a single tap while previously you had to pull down the URL bar and unveil hidden options where you would request for the full desktop site for your smartphone. Well, not any more. Lets suppose an instance where your laptop or any other computer is out of order or slow for whatever reason and viewing a desktop site is necessary. 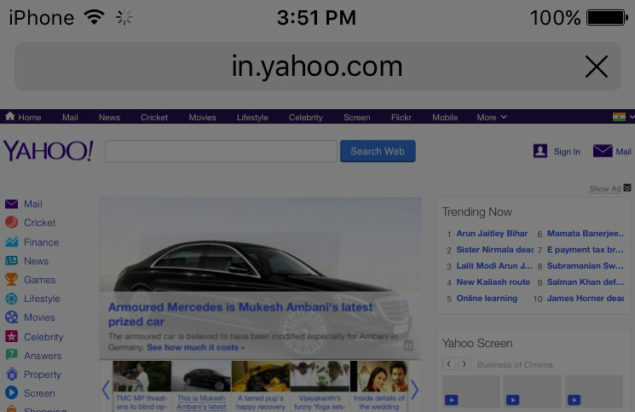 You can now access full desktop sites on your iPhone or iPad using the eased availability of options in iOS 9. We’ll show you how. If you are an iOS 9 beta user, all you need to do is tap and hold the refresh button located on the right side of the address bar and two options will be revealed, ‘Cancel’ and ‘Request Desktop Site’. The cancel button does what it always do, the request for desktop site takes you to the full desktop version of your favorite website. Yes, there is also another way to do it via the share button but that would just mean repeating history as we go. A few iOS 9 beta versions for developers along with a public beta is available for download. However, the official release is set to launch later this fall. If you wish to download iOS 9 beta, you can opt for Apple’s Software Program and sign in using your details for further processing. Prioritizing the desktop site may not be ranked as one of the top but considering the fact that iOS 9 has narrowed the process down to a single tap is impressive. If you are running iOS 9 beta, try it and let us know how you liked it.